Alphaxard Gitau is passionate about youth empowerment, community transformation, environmental conservation, and contributing to agricultural development. 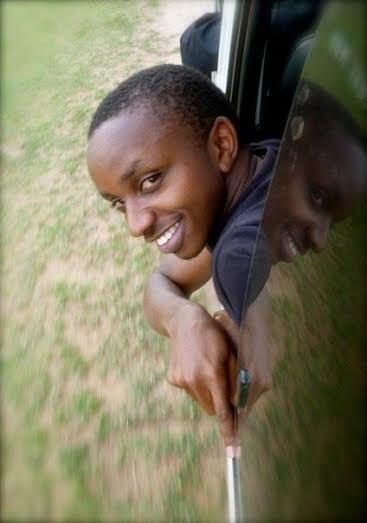 He lives in Kenya, and strives to be a voice for young people working on environmental issues. He spoke on his experiences as an advocate for action on agriculture in Africa, and at the global level. Alphaxard was brought up in a family of farmers. And focusing on agriculture was something natural for him. “Growing up I always wanted to practise agriculture better than my dad did. As a young kid I used to plant my own vegetables. Whenever my dad would sell his vegetables, he would also sell the ones I grew as well. And then I would get the money which I saved or used for my needs,” explained Alphaxard. He was motived by a young man whom he met while on an exchange program in Norway with the Norwegian Peace Corps. “I had the chance to meet a young man while I was in Norway who was doing dairy farming in a very modern way, and in a very scaled up level. He motivated me to start my own agricultural activity when I returned to Kenya,” added Alphaxard. Alphaxard lists access to finance as one of the key challenges faced when trying to establish himself as a youth farmer. “Agribusiness is a costly investment. It is very hard for young people who lack money to form their own initiatives,” he added. Another challenge he lists is the mentality of parents who want their children to be working as white collar professionals. He also highlighted issues related to agribusiness such as the middle-man syndrome from which the sector suffers to be key for youth facing difficulty when trying to access the field as professionals. “Access to information is also an issue for youth who wish to engage in agriculture. There is lack of technical information on seeds, pesticides and other agricultural related information. And youth have issues because they are not equipped to practice agriculture efficiently,” he added. Alphaxard envisions to build his business to be among the leading agro-products companies both for local and export market.